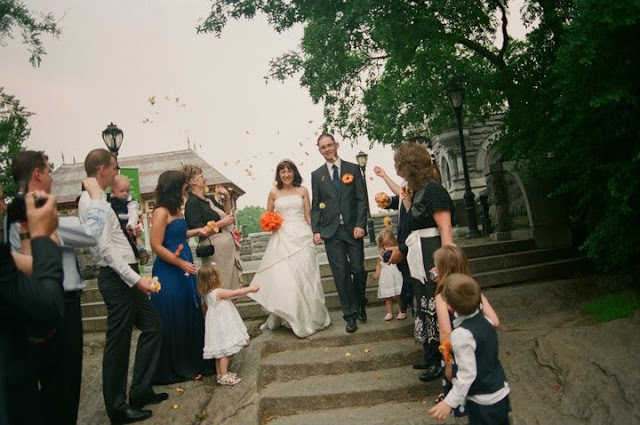 When it came to arranging our wedding we both knew what we wanted, We didn’t want a big wedding with 100’s of people to be there, just close family and friends at a venue that had meaning for us. New York was our chosen destination. This is where we went for a weekend away when we first met and when I realised they I wanted to spend every minute with this man. Organising it was pretty simple. I hired a local wedding planner to do it all for me, I just told her what I wanted and she organised it all. I know a wedding planner sounds pretty extravagant but you know what? the price of the wedding, our accommodation, flights and the wedding planner was much less than a wedding would have cost us in the UK. The day itself was pretty amazing. We got married on the veranda at Belvedere’s castle in the middle of central Park with our family and close friends. 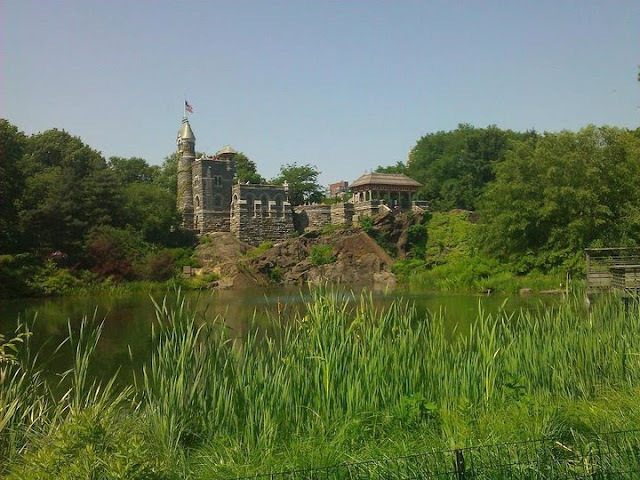 It was an absolute scorcher of a day – over 30c and there was me in my full wedding dress speed walking through central park with my father, 2 bridesmaids and 3 flower girls. It was actually quite funny as numerous people were shouting good luck as I hurried past them, late as usual and there is no road that passes the castle so it was a good 15 mins on foot. When we arrived at the castle my wedding planner was there, everything was sorted, all I had to do was walk up the steps to the castle and meet my man. 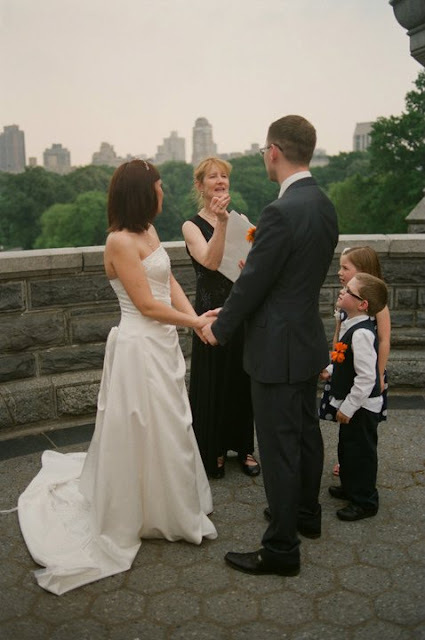 We said our vows with the views of the New York skyline in the background, a perfect location for a most perfect day. I wish we could do it all over again, or just stop time and live in that moment forever.